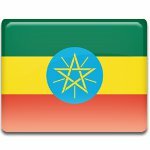 Patriots' Victory Day is an Ethiopian public holiday that marks the end of the Italian occupation. It commemorates those who died during the occupation and honors veterans of the resistance movement. The holiday is celebrated on May 5. In the early 20th century, Ethiopia was the only African country to retain its sovereignty and not become a colony. However, it independence was interrupted by the Second Italo-Ethiopian war that started in October 1935. The war resulted in the military occupation of the country. Italian troops entered Addis Ababa on May 5, 1936, and hoisted the Italian tricolor in front of the Italian legation. Thus the occupation of Ethiopia began. At the early stages of WWII, British forces helped patriot Ethiopian fighters liberate the country. Emperor Haile Selassie made his entrance into Addis Ababa on May 5, 1941. He had deliberately chosen the date because the capital had fallen exactly five years earlier. Patriots' Victory Day was declared to commemorate the end of the occupation. On the occasion of Patriots' Victory Day, solemn wreath-laying ceremonies are held at war memorials and monuments throughout the country. The main ceremony takes place in the capital of Addis Ababa, it is attended by government officials, military leaders and diplomats as well as representatives of patriot associations and city residents.